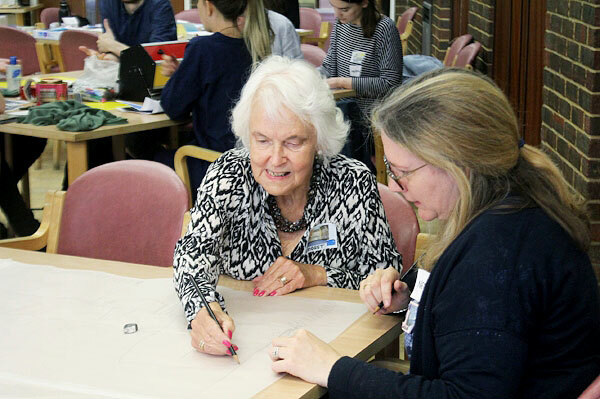 On Saturday 20th May, artists, scientists, researchers, people with dementia and their carers came together to explore the brain through art, at a London Brain Project ‘Beyond Memories’ workshop, held at Age Concern, Saxon Day Centre in Orpington during Dementia Awareness Week 2017. Four artists led groups through different art activities to explore personal identity and the brain. Artist, Nicole Morris, led a group considered their ideas of a perfect home, sketching out ideas and thoughts and later combining these in a collaborative print of this imagined house. 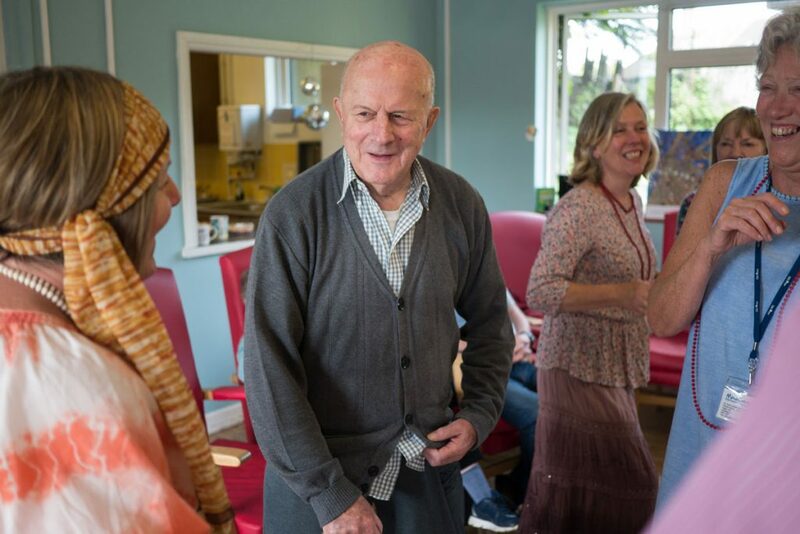 Amongst discussion about the necessary features of this perfect home, people with dementia began to share personal memories and stories from their lives about the homes they lived in. Even when more recent memories were hazy, the older memories were still quite vivid for many people and they took great delight in recalling and sharing stories from earlier in their lives. 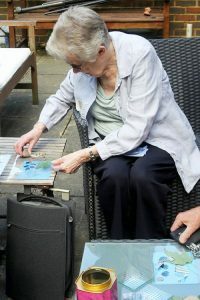 Such memories play a central role in a person’s sense of personal identity, and this kind of activity can contribute hugely to the wellbeing of someone experiencing memory loss or dementia. One lady shared memories of dancing late into the night at big parties in the barn attached to her Italian family home. For another keen cook, the kitchen was the most important part of the home, providing a place for cooking and eating together. 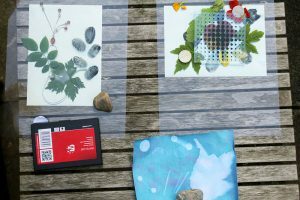 Artist, Sophie Michael, led another group in the creation of abstract traces of themselves using objects found about their person. As these objects were laid on photosensitive paper, the colour pigment of uncovered areas was gradually degraded by the sunlight, leaving silhouettes of the objects that had once been there. Undergoing further processing, the images became increasingly abstract, with the occasional identifiable feature amongst more roughly defined shapes and patterns. 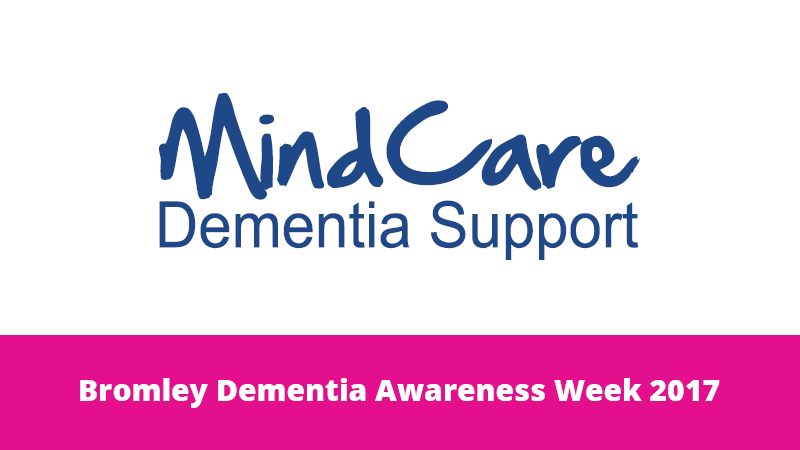 Artist, Natasha Cossey, and her group used coloured felt symbols and shapes to represent various aspects of experiences of and feelings towards dementia. The shape of a hand, for example, was cut out of pink felt, to reflect the value and importance of touch and gesture. One couple chose a chain of roses to reflect their journey through dementia, with periods of angst and disturbance interspersed with periods of tranquillity and calm. Later, these shapes were brought together in a wall hanging, with several threads representing different life stories and intertwining experiences. 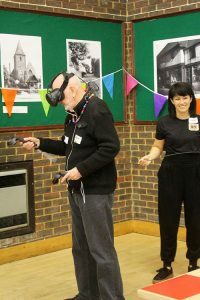 Artist, Kim Leigh Pontin, explored Virtual Reality (VR) with a gentleman with dementia, David, and his wife and carer, Rachel along with neuroscientist, Francesca Cacucci. Using VR, David to painted in 3D, using prompts such as a favourite song to inspire his mark-making. The results were fascinating, from both an artistic and scientific perspective. 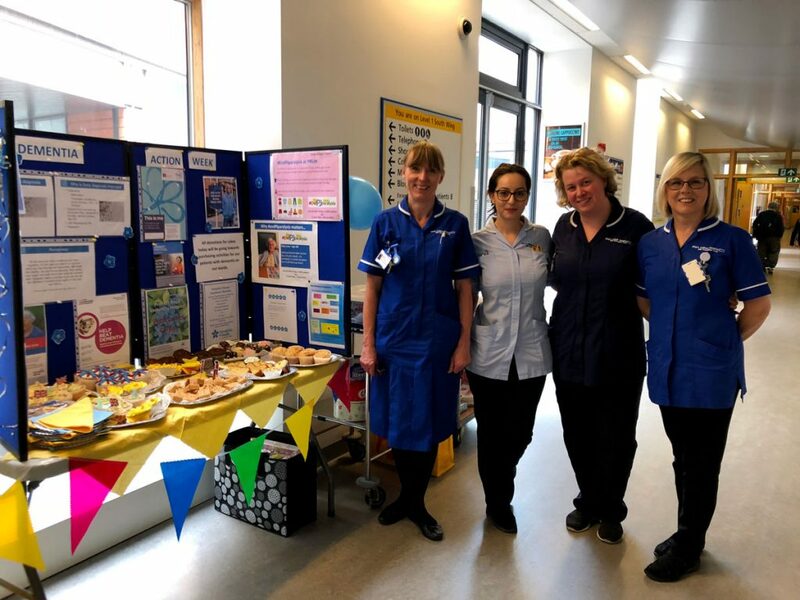 Scientists specialising in biochemical and molecular neuroscience, clinical and social research, shared the latest cutting edge research in relation to dementia, and engaged in discussions, with people with various forms of dementia and their carers. 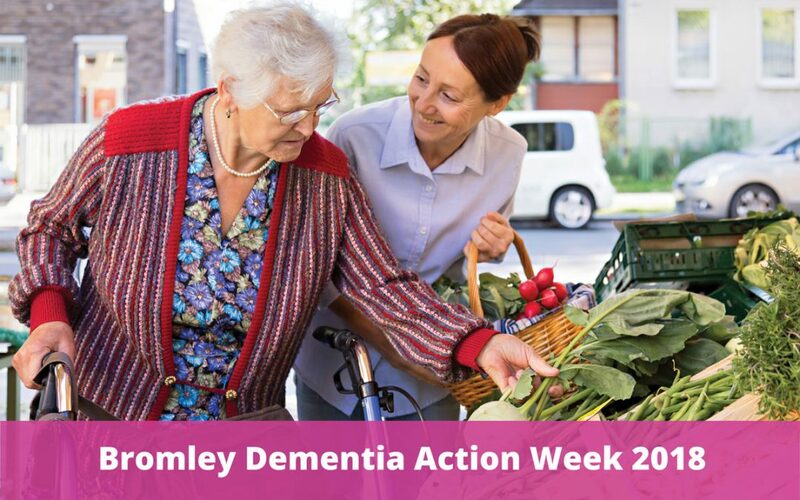 There was an overriding consensus that there is a major lack of public awareness of the many different types of dementia, and the range of ways people can be affected. Commonly considered to be purely a disease affecting memory, many people were surprised to hear of types of dementia, such as posterior cortical atrophy, which primarily affects vision. 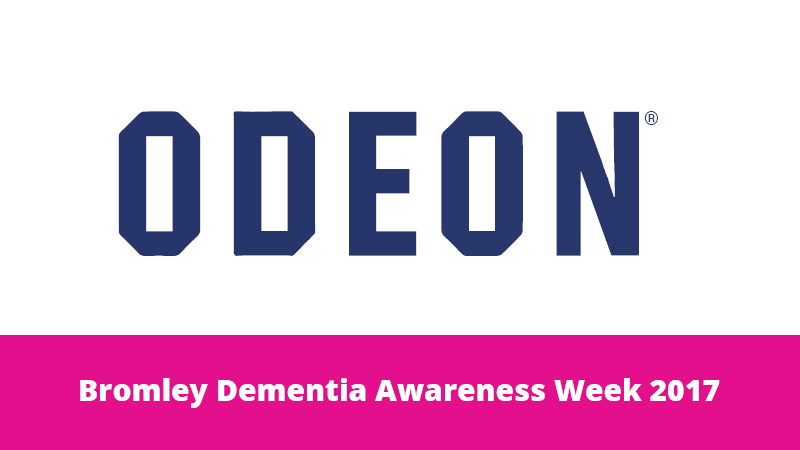 The brain degeneration that can affect memory in the most common types of dementia can also affect other areas of the brain, and can affect a person’s spatial awareness, language and ability to control their behaviour. 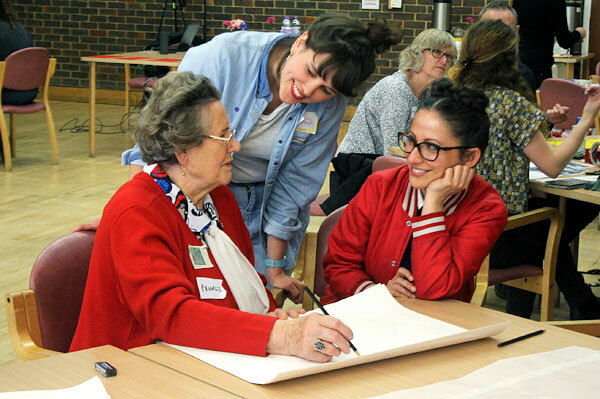 Emma Harding and Dilek Ocal shared how they are working on ways both public and private spaces can be better designed to support people with dementia. Different coloured walls and interior features can help people with dementia find their way around more easily. Another exciting project is looking at ways in which the different coping techniques that people with dementia and their carers use to manage their symptoms could be shared amongst others. There was encouraging news from scientists working on discovering new ways to prevent and treat dementia. Chris Lovejoy described his PhD project in which he is using stem cells to grow new neurons, which he can then use to study the changes that occur in familial Alzheimer’s disease. Francesca Cacucci told of an exciting new way to test potential drugs by examining the effects of these compounds on hippocampal place cells, the brain cells responsible for spatial navigation. Magdalena Sastre shared her work on the role of inflammation in Alzheimer’s disease, whilst neurologist Paresh Malhotra encouraged everyone with his anticipation of new and effective treatments for dementias within the next ten years or so. 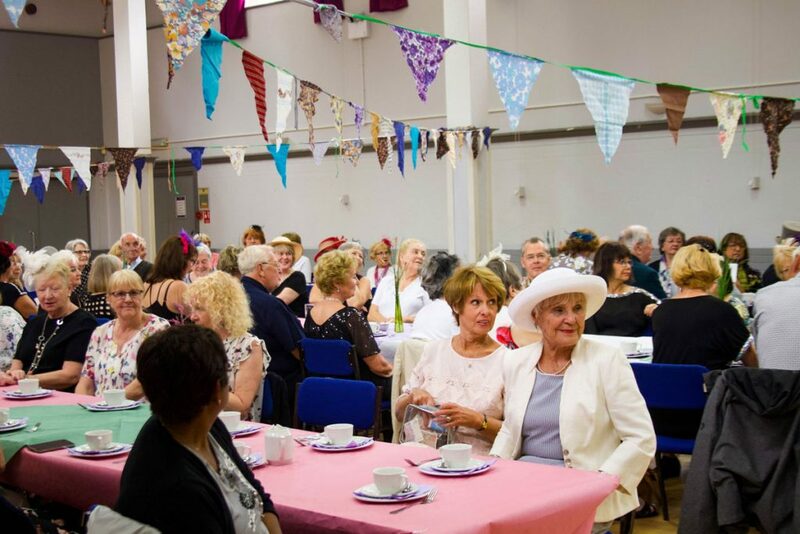 Living in a society in which we are all likely to be affected by dementia, people attending the Beyond Memory workshop talked honestly and openly about a disease that is so often brushed under the carpet. “It was a privilege to hear people talk about their experiences so openly, and exciting to hear about the new approaches and developments in the field. 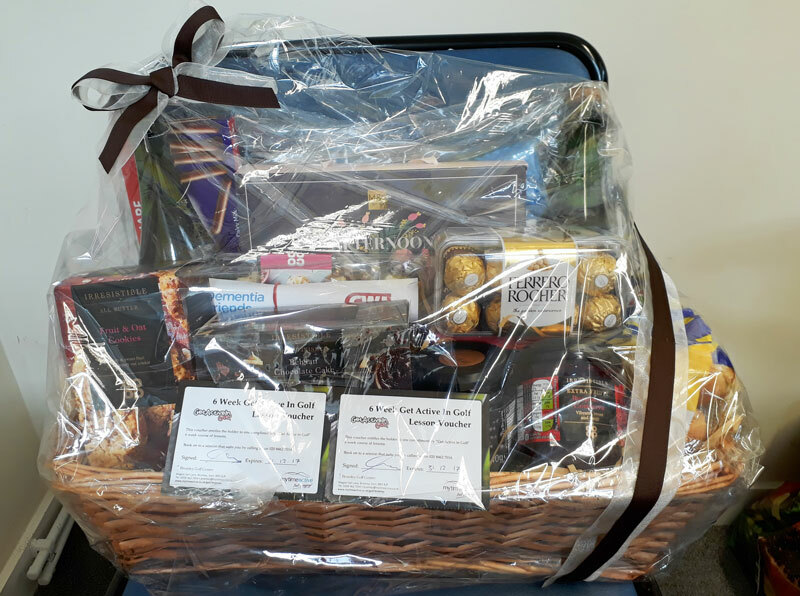 Over the course of the afternoon, it was increasingly apparent that there is immense hope to be offered through the exciting work of so many, whether focusing on improving quality of life for those with dementia, or looking at preventing, slowing and treating neurodegenerative disease [dementia]. The role of creativity in exploring and communicating experience was also highlighted.